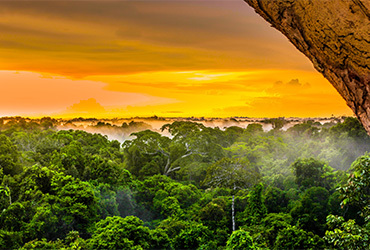 The Amazonian rainforests are lush with nutrient-rich, life sustaining botanicals. Our selection of certified organic rainforest oils and Amazonian butters provide essential nutrients for moisturizing and revitalizing the skin and hair. With growing emphasis on supporting both the inside and outside of the body, our range of certified organic Amazonian lipids have excellent potential within innovative, organic personal care products designed to promote healthy skin and hair.